2018 will be the 37th year anniversary for Boardmasters. Over the years we've had the biggest names in surfing competing at Boardmasters, including the eleven times world champion, Kelly Slater. A fresh faced Kelly competed over a few years but never managed a win, one of the few events that has eluded him. So looking back over the years, we thought to ourselves who are the most prominent winners of the UK’s most prestigious surfing event? Also, what did they go on to achieve after picking up their Boardmasters title in heart of Cornwall? After a hard fought battle in the office (things got pretty serious and drinks were spilt), we managed to pick our top ten Boardmasters legends and list them below (in no order, picking them was hard enough without prioritising them). Would you agree with our choices? OK, so we are cheating a little on this one to squeeze in the two surfers. Not the best start but when you see the following names you will see why. Cheyne (@cheynehoran) and Rabbit (@rabbitbartholomew) were tied in the first ever Boardmasters back in 1981. After incredible semi-finals including the 1977 world champion Shaun Tompson and British legend Carwyn Williams (who some still argue was underscored in his heat), Rabbit and Cheyne put on a ridiculous show of performance surfing for a very eager audience on Fistral Beach. Horan went on to win the 1983 Surfer Magazine Readers poll award but could only manage to finish 2nd in the world title race, to non-other than Rabbit Bartholomew. (He did beat Rabbit in 1999 though for the Quiksilver Masters world championships). In 2003, Horan also picked up a XXL award after turning to big wave surfing and riding a 60ft giant. Horan also starred in Big Wednesday (if you have not seen this movie, then it’s a must watch) and was elected into the Australian Surfing Hall of Fame in 2007. Wayne Rabbit Bartholomew, after finishing runner-up to Shaun Tomson in 1977 he went on to win the 1978 world champion. 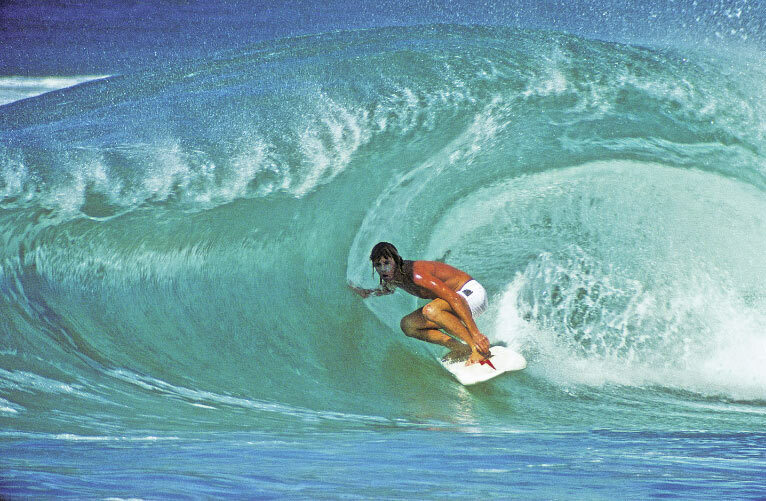 Elected into the Australian Surfing Hall of Fame in 1987 Rabbit also became an ASP surf contest announcer and went on to win the 2003 Quiksilver Masters World Championships. Rabbit released his Autobiography (Bustin Down the Doors) in 1996 and a documentary chronicling the nascent of the 70’s pro surf scene with the same title in 2008. Tom Carroll (@thomasvictorcarroll), one of the best ever tube riders, won Boardmasters in 1983 and went on to take the World Championship that year (and again in 1984). Carrol also picked up a Triple Crown title in 1999 on the North Shore of Hawaii. But it was in 1991 that Tom Carrol left his biggest mark in surfing, with one of the most memorable top turns ever performed, snapping under the lip of a steep 12 foot pipeline wave. The goofy footer was already centre of attention with his black helmet and bright pink board but in the semi finals Carrol did the ‘Tom Carrol snap’ and it was heard all around the world. Pipeline was about barrels, you were not supposed to make turns like this……. Single handily, Carrol changed the approach to surfing steep barrelling waves. 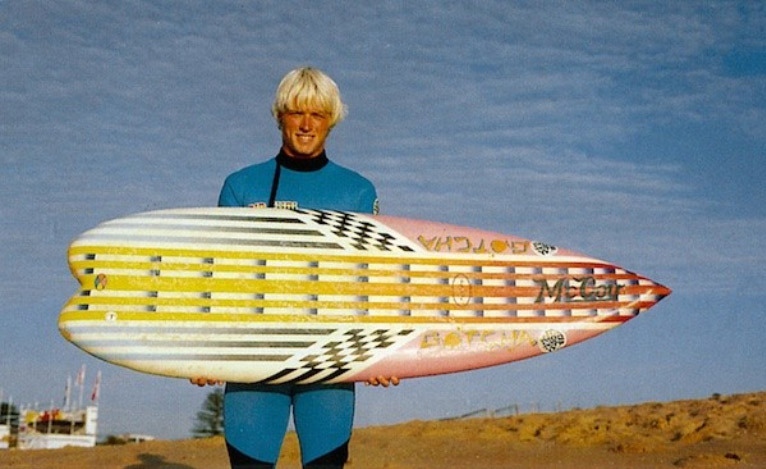 Retiring from professional surf in 1993, after being added to the Aussie surfing Hall of Fame in 1990, Carrol released his autobiography ‘Tom Carrol; The wave within’ in 1994. A legend who still performs in Masters heats today Tom appeared in over 60 surf movies and even had the prime minister of Australia deliver a speech at his retirement dinner……. A true Legend and one of the best ever surfers to grace our waves. 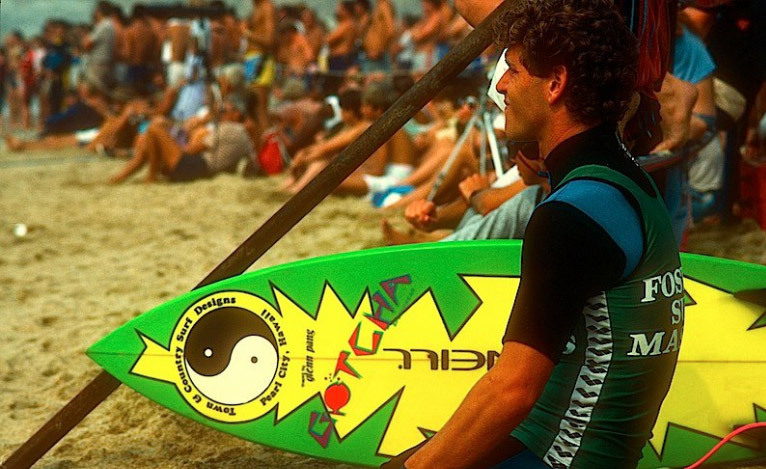 Martin Potter (@mrpottz) took his first Boardmasters title in 1984 and regained the title in 1987. A very volatile surfer from South Africa whom was actually born in Blyth, England, moving to SA in 1967 when Potter was 2 years old. Potter burst on the surf scene as a 15-year-old ‘superkid’ with a momentum that has never been equalled. After a hit or miss approach to competitive surfing Pottz took the World Championship in 1989. Over all he spent 14 years in the top 16 of the world tour and was a pioneer of the Aerial surfing we see today, influencing surfers like Christian Fletcher and Kelly Slater. With over 40 surf movies to his name, Pottz was the last of the wild men. Tom Curren (@curfuffle) is the only surfer to win three Boardmasters as well as being the only surfer to win back to back. Essentially making Curren the most successful surfer ever at Boardmasters. 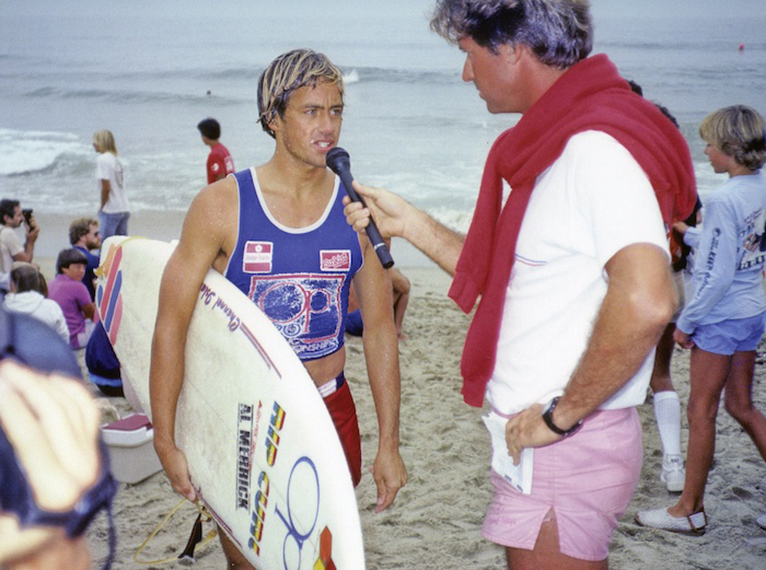 It was not just Boardmasters that the Californian (Santa Barbara) took home three times, he also was a three-time World Champion (1985, 1986 and 1990). Famous for inventing the double pump bottom turn Curren was able to hit the lip with incredible power for a slender 5’8’’ guy. Curren's style was responsible for influencing the style of almost every up and coming surfer in late 80’s and early 90’s. 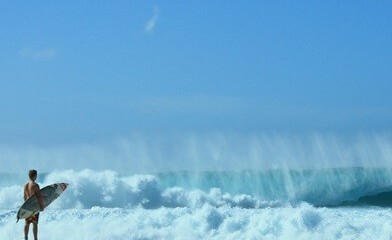 Curren was a full on surf celebrity, something the Curren did not like himself. Being uncomfortable in the spotlight Curren himself consistently tried to dull the media whirlwind that followed him. Curren lost interest in competition after his second title but came back in 1990 and later won the '91 championship. 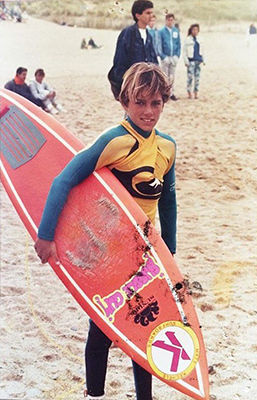 After this Curren signed the richest surf contract of its time, a $2m deal with Rip Curl that would see him travel the world as part of the Rip Curl Search campaign. Tom is also a very accomplished guitarist (he has even released an album recognised by Rolling Stones Magazine) and an activist for the surf environment. Occy was an Aussie teenage phenomenon in the early 80’s and nick named the raging bull due to his power on a wave. Unfortunately he had a physical and mental breakdown in the early 90’s but came back and won the Boardmasters 1992 before suffering once again in France, retiring back to Australia. After 10 years of not completing a full tour, Occy came back to finish second to Slater in 1998 and winning in 1999, at the age of 33. Appearing in almost 75 surf movies Occy is considered to be in the top 10 surfers of all time and added to the Aussie Surfing Hall of Fame in 2004. In 2011, Occy appeared in the Australian version of Strictly Come Dancing, where one judge told him “you’re not just a goofyfooted surfer, you’re a goofyfooted dancer”. Taj Burrow’s (@tjamos) win at Boardmasters in 1996 helped him on quest to gain a converted spot on the world championship tour in 1997. Taj went on to be probably the best surfer never to win a world title, but seemed to be a contender for most of his career finishing at the number 2 spot twice in 1999 and 2007. Burrow was a pioneer of surf fitness and was one of the first professionals to hire a full-time personal trainer. He also released a surf fitness DVD in 2003. Known as one of the most cheerful and approachable big name surfers, Burrow loves a good party and is the star of three surf documentaries; Sabataj, (2000), Montaj (2001) and Fair Bits (2006). Being the only woman on our list, Layne (@laynebeachley) won Boardmasters the year the event was included in the Woman’s World Surf Championship Tour (1999). Layne went on to win her second championship title that year and winning a career total of 7 World Tour Championships. In 2006 Layne was inducted into the Australian Surfing Hall of Fame and received the Laureus World Alternative Sportsperson of the Year Award in 2006. No Boardmasters list of surfers would be complete without mentioning the British Legend that is Russell Winter. Russ won the Boardmasters leg of the WQS (World Qualifying Series) back in 2002 after making history as the first European to ever qualify for the World Championship Tour. Russ competed in the tour for three years and famously beat Kelly Slater in a round one heat at Sunset Beach, Hawaii. Unfortunately Russ suffered a bad ankle injury at Teahupoo (Tahiti) and this stalled the British surfer’s progress. Still easily one of the best surfers in the UK, Russ is a regular out at Fistral Beach and only a knee injury held him back from competing this year. Russ is a Boardmasters legend and we hope to see him competing next year. The invisible man, Bede Durbridge (@bededurbo), has been labelled as one of the most consistent surfers on the WCT. Two years prior to qualifying Bebe took the 2003 Boardmasters title. After losing all his sponsors Bebe financed his own world tour in 2007 and went on to win Pipeline and the Vans Triple Crown. In 2008 Bebe finished second to Kelly Slater in the WCT title race. The difference between Bede and most other surfers trying to catch the public eye, is that Bede is happy simply being himself. Well, there we go. 10 surfers,15 world titles, stories of injury and breakdowns and a great insight into who has performed at Boardmasters.